1/7th Bn, The Worcestershire Regiment, 144th Infantry Brigade, 48th Division, B.E.F. Next of Kin: Youngest son of Frederick and Harriett Wareham of The Poplars, Somers Park Avenue. Laurence Wareham’s battalion had been employed on the advance on the Somme and had worked their way forward through the shattered remains of Ovilliers. They had been fighting incessantly from the 18th July and by the 20th were tired and had suffered over 150 casualties. They were due to be relieved on the 21st by their sister Battalion, the 1/8th, but while that unit was repairing a road behind the lines they were gassed and nearly their entire fighting strength (including many Malvern men) were incapacitated. The 1/7th Battalion therefore had to fight on for a further two days. At 3.15am on the 21st ‘D’ Company in conjunction with units to the left and right attacked enemy positions to the front. But in the mud and darkness the attack made little progress, and the men fell back. 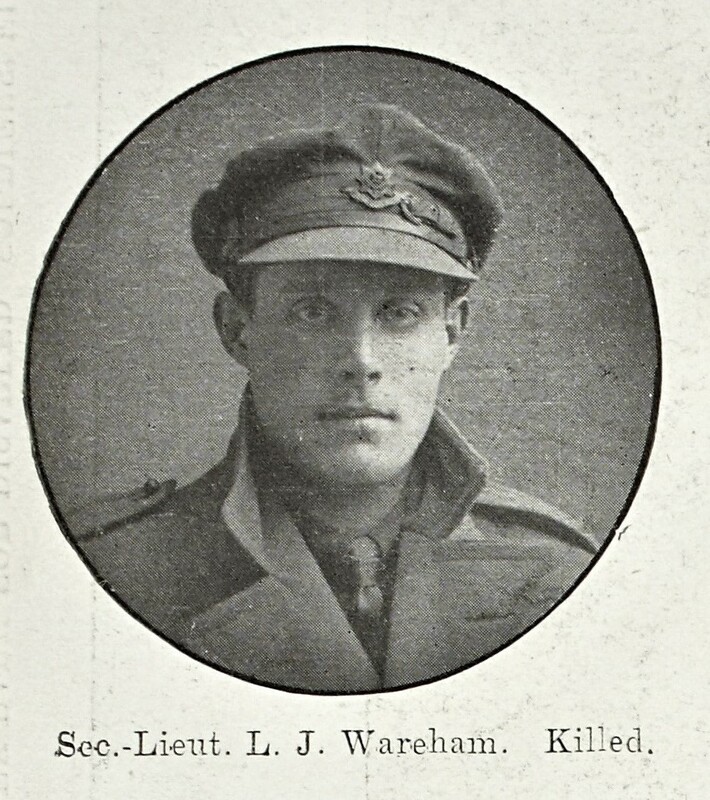 Lawrie Wareham was one of the men who were killed in this action. Mr and Mrs Wareham’s eldest son, Frederick had been killed on the first day of the Somme on the 1st July. Their middle son, Acting Captain Richard Charles Wareham survived the war, he joined the 8th Worcestershire Regiment just before the war, first served overseas as an officer in June 1916 and was latterly attached to the Tank Corps. He was wounded while in action whilst in action in a tank. He suffered shrapnel dust in the eye, which was thankfully not serious. Like his brothers, he also attended Worcester Royal Grammar School and after the war became a draughtsmen at Messrs Heenan and Froude’s and later at an engineering works in Durham. He was for some years a member of St Matthias Choir.